Nearly 40 Miles per Gallon! 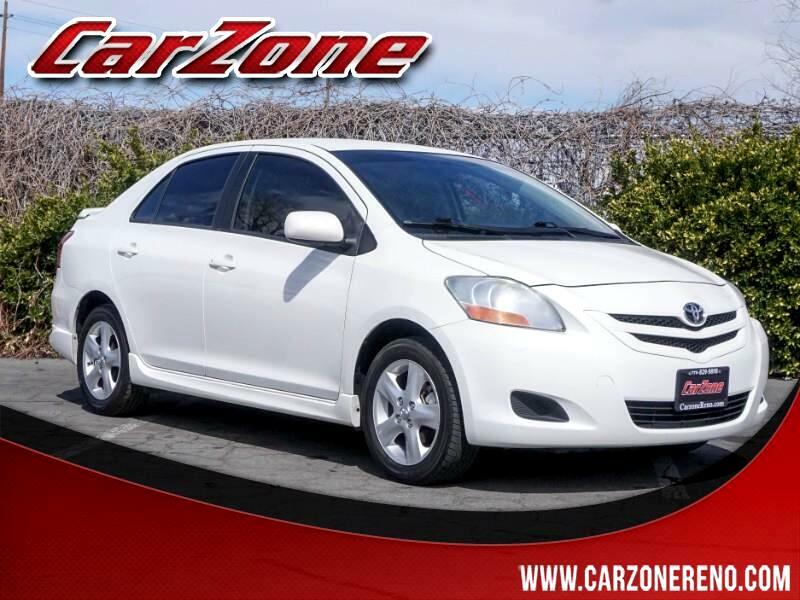 2008 Toyota Yaris! LIKE NEW with AUX audio jack and Extra Clean interior! CARFAX shows no accidents and Nevada car all its life! WOW! Visit us online @ carzonereno.com! Or stop by! We now have 2 locations! 3250 Kietzke Lane and 2720 Kietzke Lane! Don't delay! Good Credit, Bad Credit, No Credit! NOBODY will work harder to get you financed! And yes! We'll take your used car, truck, or SUV for trade! CarZone has been around for nearly 15 years with up to 300 cars, trucks, and SUVs available at any given time. That’s over 30 Makes and 50 Models for you to choose from. We specialize in selling 1-Owner vehicles and offer Extended Warranties on most of our cars. When you come to CarZone you’re going to experience a staff that cares about your needs. Our highly experienced sales team is not paid on commission so you won’t receive any high pressure sales tactics from us. We’re ready to help you find just what you’re looking for. As a CARFAX Advantage Dealer we offer Free Vehicle History Reports on every one of our vehicles, so you know exactly what you’re getting. When you’re looking for unbeatable prices and great financing look no further. CarZone offers rates as low as 1.99%. And if you’re wanting to trade-in or just want to sell your vehicle out right we welcome your trade and pay top dollar. Visit either of our locations on Kietzke Lane to experience the difference first hand. Or you can go online and view our inventory at carzonereno.com. It’s a great easy to use website with over 30 pictures for each of our vehicles. So whether you’ve bought many vehicles from us or this is your first time see for yourself why customers purchase and repurchase time and time again. Come in today and see why CarZone sells so many vehicles at the lowest prices in Northern Nevada. Message: Thought you might be interested in this 2008 Toyota Yaris.